Christmas is a time for giving. In a little over two weeks, we become pre-occupied with searching for a perfect gift to give our loved ones. Something special that will not collect dust on the shelf or be stacked away in the closets for the rest of their life. It is indeed a difficult task to search for a perfect, meaningful gift. The past few days I have been pondering on helping someone get over their misery. Everyday on my way home from work, I see families living under bridges, children begging in the streets, minors selling flower leis to earn a few coins. The news of poverty and hunger in some parts of the world is heartbreaking. Children who have been reduced to skin and bones brings me to tears. Last year, on Christmas eve, I packed a hot, home cooked meal, a fruit and a bottle of water in a brown paper bag and walked around my neighborhood to look for the old, homeless man who sleeps on the sidewalk. When I found him, I gave him the bag and said, "Merry Christmas, Sir. Please eat and enjoy your Christmas dinner." He looked at me with those eyes that were full of disbelief. I had to turn away before I started to cry. I looked up to heaven and whispered, "Thank You, Lord, for the blessings you have given me. I know I complain a lot about things, but pointing me to this poor homeless man has given me deeper appreciation of what I have. I am truly blessed." This Christmas, I have once again been pointed to a mission that would help my brothers and sisters who are trying their best to live from day to day. A noble group of people are working to alleviate the suffering of the people in sub-Saharan Africa. Send a Cow is an organization that helps raise funds to bring these people out of poverty. Based in the United Kingdom, this charitable group extends their kindness to a country thousands of miles away. Send a Cow works with poor families in seven African countries, providing practical farming assistance that will last for generations to come and supporting families through every step of their journey out of poverty. This year's goal is to be able to raise 20,000 festive gifts that will definitely make a difference to poverty-striken families in Africa. 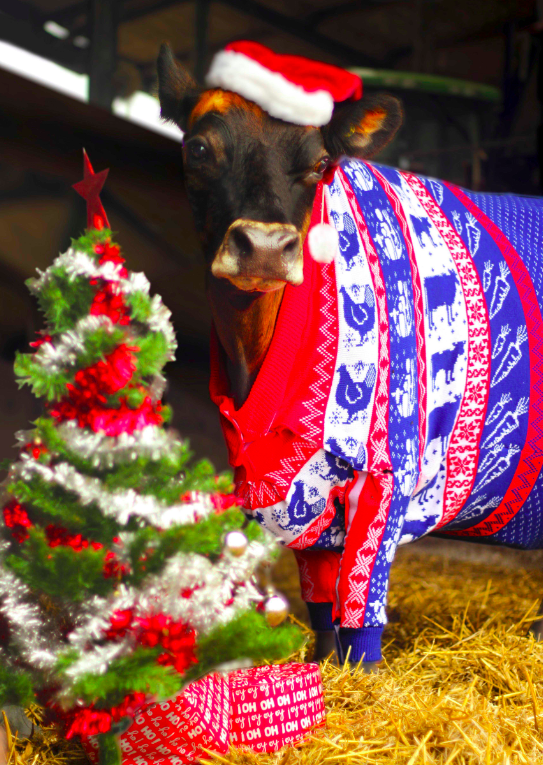 To help increase awareness for this campaign, Send a Cow tapped their ambassador, Gloria the Cow, wearing a specially made, custom fit jumper sporting designs that represent the gifts that can be found in the Christmas Catalogue. 2014 marks the 13th year of Send a Cow's Christmas catalogue, the proceeds of which have helped over a million people (and counting!) overcome poverty. If you really want to make a difference, now is the time. Speak to your family and friends. Encourage them to spare a little to make a BIG impact for a family thousands of miles away struggling to survive. Better yet, send your friends a card that says "I am giving you a special gift this Christmas. I have donated to Send a Cow in your name. Thank you for making someone's life better this Christmas. 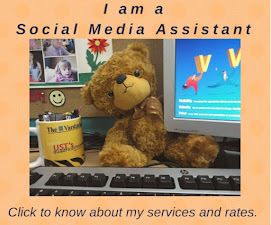 I hope you do the same and pay it forward." There has never been a better time than now to feel the true meaning of Christmas. Note: This is NOT a sponsored post. I have been given an opportunity by Send a Cow to practice my Christian faith by increasing awareness for the purpose of alleviating poverty in Africa. Yes, the true meaning of Christmas is to feel that Christ is within us. And one way of doing this is to help those less fortunate people. I agree, Sherryl. Every little effort to help our less fortunate brothers and sisters can go a long way. God bless. great cause and I thank you for raising awareness. You are right...it is the season of GIVING...and it's nice that you are reminding us of that! Thank you, Jacquie. I hope you can help me raise awareness towards this cause. God bless! Excellent suggestions and yes, we do share during the Holidays. Sharing is so heartwarming! I try my best to practice it everyday too. you did a very good cause in helping the homeless man. God will surely echoed your kindness. Keep it up. Godbless with all your undertakings. Thanks, Dean. I wish I could do more than just help one person. A little good deed everyday could probably help change the world. God bless you too! Thanks Eileen. At a time when many of us are scurrying around buying stuff and thinking about present, we need a post like this as a reminder. Hi Ken! Thanks for dropping by. The holidays can really make people shop-crazy. However, we do have to stop and give thanks for our blessings and share some of it to the poor and struggling. If I had enough money, I would start a soup kitchen for the street children here in my village! Christmas has always been about giving. Nothing beats the feeling of being able to give in spite of our "lack" in our lives. Hi Teresa! Christmas is a solemn remembering of Jesus' birth. Despite our personal needs and obligations, we are more blessed if we can give and share with others the meager possessions we have. Wishing you and your family blessings this Christmas and everyday. Parang sad si Gloria but she is styling! ON the serious note, hubby and I's tradition is to send money during Christmas to my family back home. She is a beautiful cow! Haha. Thanks for dropping by, Rose. I wish you and your family a blessed Christmas! Eileen, this is something I have been thinking about but I must admit that your gesture to the homeless man last Christmas made a bigger impact on me than sending money overseas. There are so many organizations for worldwide causes but we may not forget the ones in our own backyard who have nothing. I don't mean to sound coldhearted but the poor in our own countries suffer just as much. Hi Lenie! I have spent my growing up years in Catholic girls schools and I guess it has molded me to be compassionate towards the plight of others. In my country, I usually feel more compelled to help the children because they do not deserve that kind of life. How I wish the world would do something to get rid of poverty and suffering. It is heartbreaking! Thanks for dropping by. May you and your family have a blessed Christmas. This is such a nice post to remind all of us to help those who really need it. I am happy that you have fed that poor home less guy. He will pray for you. I first time came to know about this send a cow campaign. It is nice to help people with something that can really make the difference. Thank you for such a great post. Bless you for raising awareness for the cow campaign and for giving that homeless man a hot meal. I'm not purchasing any gifts this Christmas and have decided to give to charity instead.